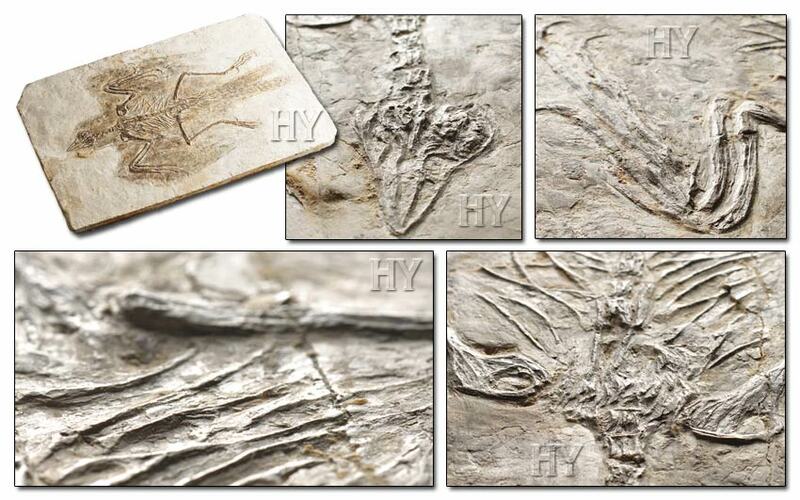 Fossils are the most important scientific evidence showing us how living things looked millions of years ago. The way that rocks reveal so many fine details is a marvel of Allah. The skeletal structure, shell shape, tail and skull, everything right down to the finest detail of this 140-million-year-old turtle can clearly be seen and it possesses exactly the same features as turtles living today. These living things have never changed over millions of years. No new organs have ever been added to them, and no new appendages have emerged. These turtles are the same now as when they were first created. As every new fossil proves, evolution never happened at any time. One of the pieces of information that Darwinists try to use to corroborate their claim that human beings and monkeys are descended from a common ancestor is the imitative ability of some monkey species. Monkeys possess the ability to copy movements and behavior they see around them. But this does not enable them one day to turn into human beings. If that were so, then other well-known species should also gradually turn into humans. In addition to monkeys, parrots, for example, also possess the ability to imitate speech. Therefore, according to the Darwinists illogical claims, there should be a high probability of parrots turning into human beings. 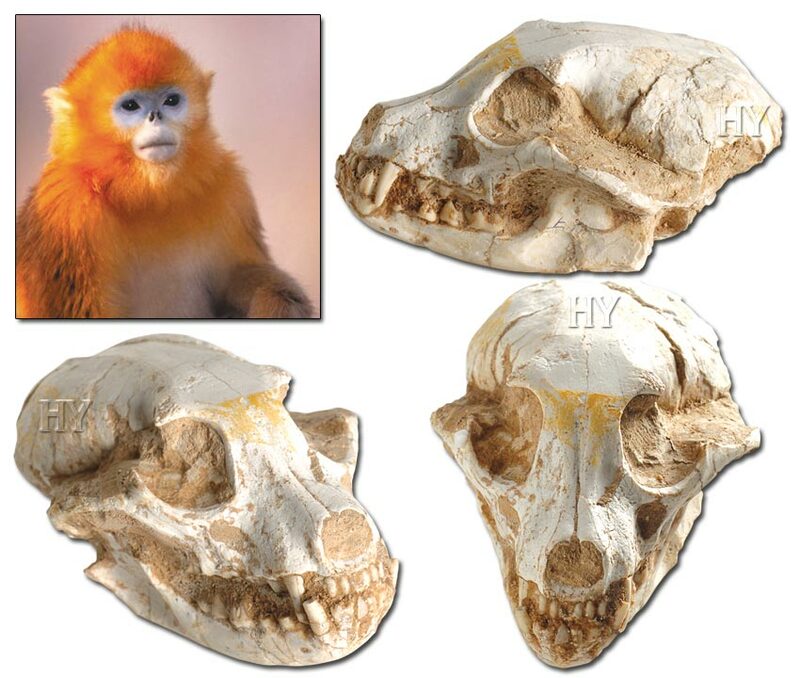 Countless findings, like the 36-million-year-old golden monkey skull in the picture, prove that living things have always remained the same and never changed and turned into any other life form, and it is quite pointless to persist with illogical evolutionist claims. Penguins, certainly the most well-known marine birds, represent the most numerous community living on the polar ice. These living things have to live in temperatures of around -40​o C, but with the special characteristics they possess they survive under those difficult conditions with no difficulty. Penguins are protected from the cold by waterproof feathers that cover most of their bodies. These and a thick layer of fat beneath their skin provide them with excellent thermal insulation. Fossil penguins show that these animals have had exactly the same bodily structure for millions of years. 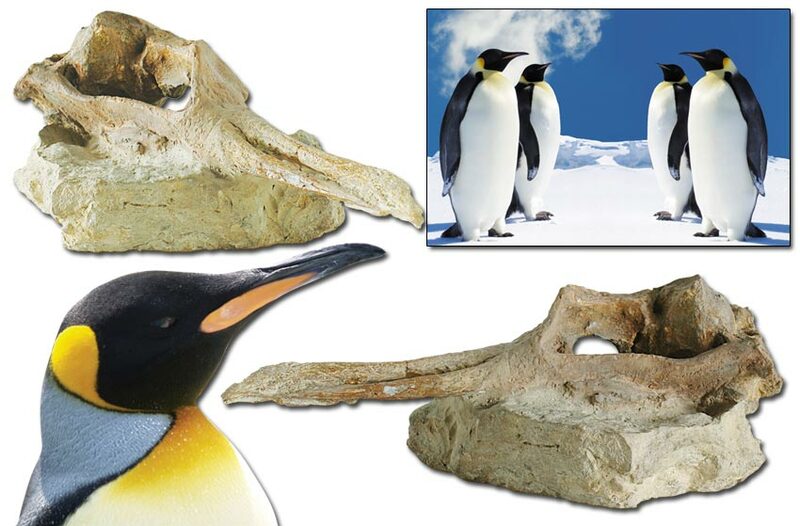 This 10-million-year-old fossil penguin is one such piece of evidence. Birds that fly through the air have to be very light; that is why they are created with hollow bones. But penguins need to be heavy in order to dive down deep into the sea. They are therefore created rather differently: their bones are not hollow. Thus they can easily dive into deep water in pursuit of fish. This characteristic was also present in penguins millions of years ago. Fossils are the most important form of evidence to show this. The 10-million-year fossil penguin shown here proves that these life forms have come down to the present day completely unchanged. Any rational and logical person who has not conditioned himself with Darwinist preconceptions will easily see that the proofs of creation in living things cannot be the work of unconscious natural mechanisms. It is Allah Who creates all living things. And this evidence reveals the infinite power and artistry of Almighty Allah. The pallas cat is a member of the cat family, about the size of a domestic cat. 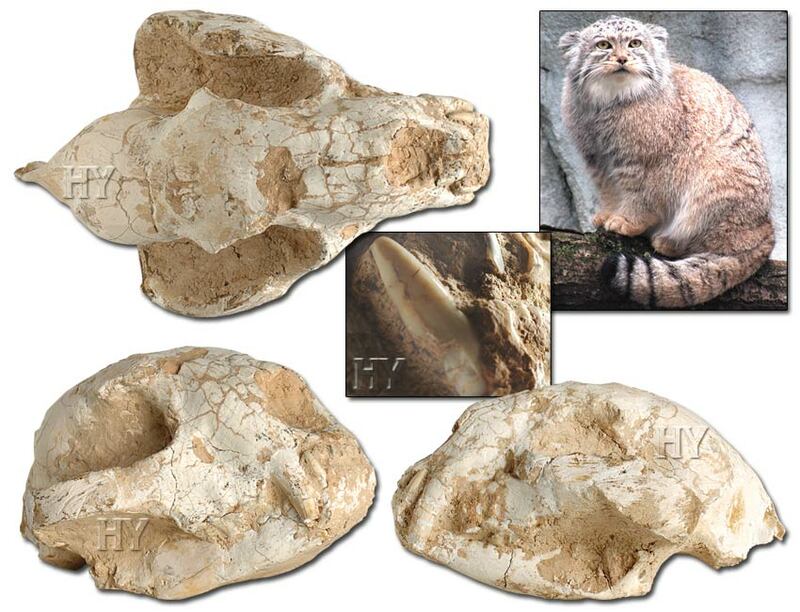 The features seen in a 73-million-year pallas cat skull show that the pallas cats living today have remained unchanged for millions of years. It is impossible to find a single piece of evidence in the skull to show that this life form evolved. Pallas cats are one of the countless species refuting evolution. With all the details of its jaw and tooth structure, the fossil in the picture is identical to members of the same species living today. Although Von Ditfurth resorts to the phrase “in all likelihood” to try to rescue evolutionists from the position in which they find themselves, it is a clear fact that no process such as intermediate stages ever happened. Natural history is full of the remains of perfect life forms that did not come into being by stages, but appeared suddenly and fully formed in all periods, with all their structures and organs, and then continued in that same form. 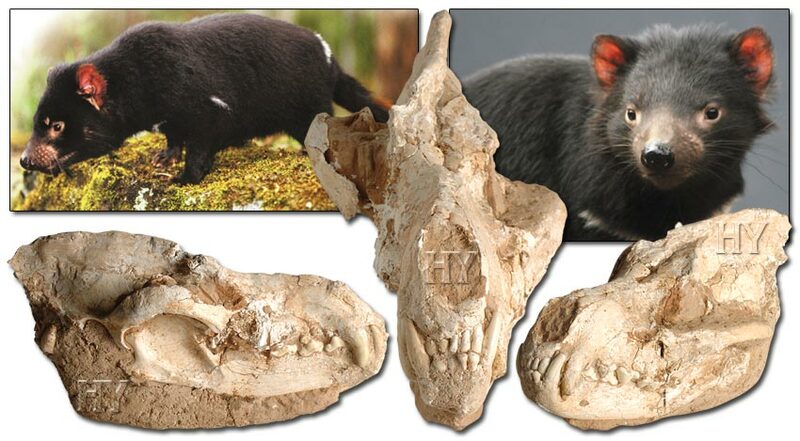 One of these remains is the 21-million-year-old Tasmanian devil skull in the picture. Darwin's thesis that human beings and monkeys share a common ancestor, has never been supported by any scientific findings, either at the time he proposed it or subsequently. All the great efforts made to support the myth of human evolution since then, a period of approximately 150 years, have been in vain. The fossils unearthed have proved that monkeys have always been monkeys and human beings have always been human beings, that monkeys never turned into humans, and that monkeys and humans do not share a common ancestor. 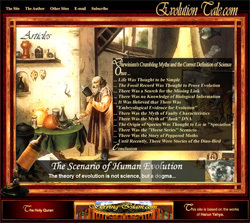 All that evolutionists have done in the face of the disappointment inflicted on them by the fossil record and their own lack of any corroborating evidence is to set skulls out in series lacking any validity over and over again and to speculate on various fossils, the hoax nature of which has long since been proven. 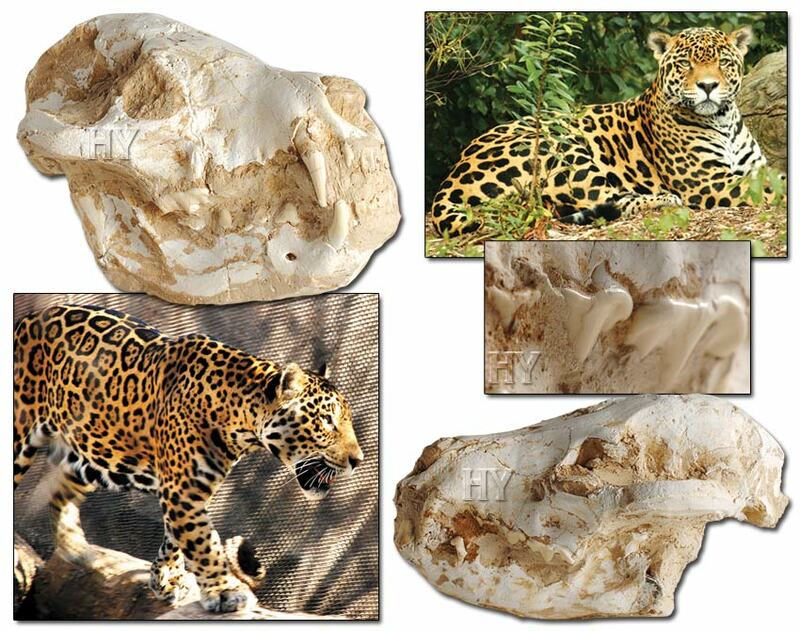 Fossils such as this 87-million-year-old jaguar skull completely refute all such speculation. In the same way that no life forms skull has ever changed over millions of years, neither monkeys nor human beings have undergone any evolutionary changes. Allah's artistry is without equal. The site of this artistry is the Earth and sky, and it encompasses the living world. Allah's sublime and glorious creation is manifested in everything He creates from nothing. Evolutionists, who fail to comprehend Allah's unequalled creation, have come up with various scenarios about the origin of life over the years, but these scenarios have never been confirmed by any branch of science. 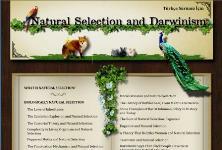 One of the branches to deal the most serious scientific blows to Darwinism is paleontology. 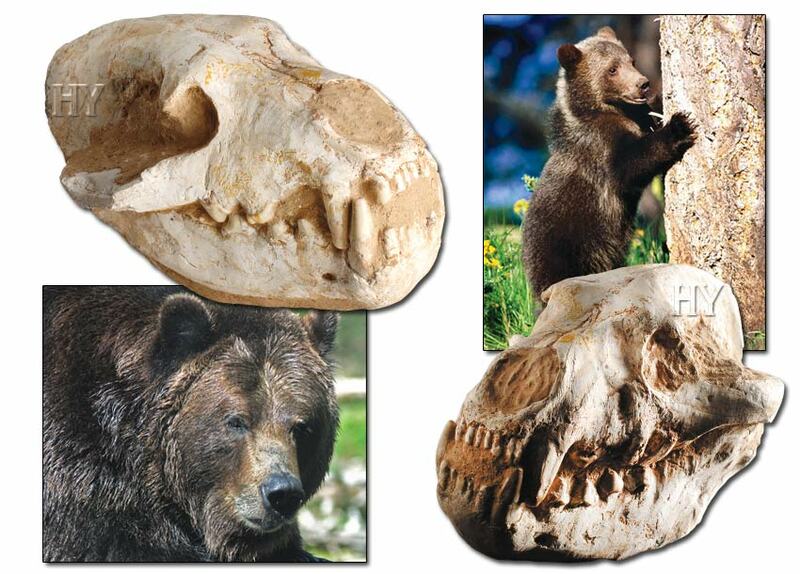 The many millions of fossils unearthed bear not a single sign to suggest that evolution ever happened. 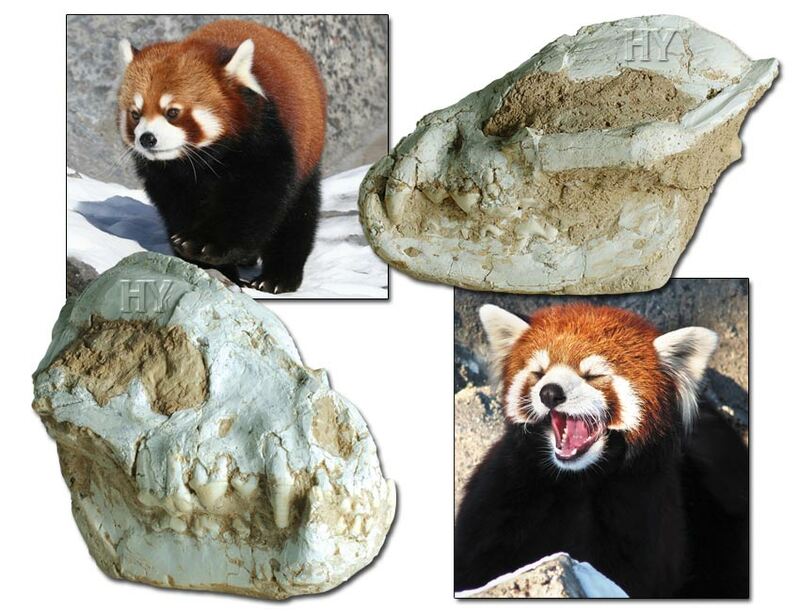 The red pandas we see today and an absolutely identical 67-million-year-old red panda skull confirm this fact. Pelicans live in temperate climates, generally in flocks, and lay their eggs in colonies. Pelicans are able to glide in the air for long periods of time by holding their wings open, thereby expending very little energy, and have very specialized and large wings for this purpose. Every detail in the pelican body, from the structure of its feathers to its light and hollow bones, is completely flawless. These immaculate structures enable pelicans even to glide along the very thin air strata typically found above water. 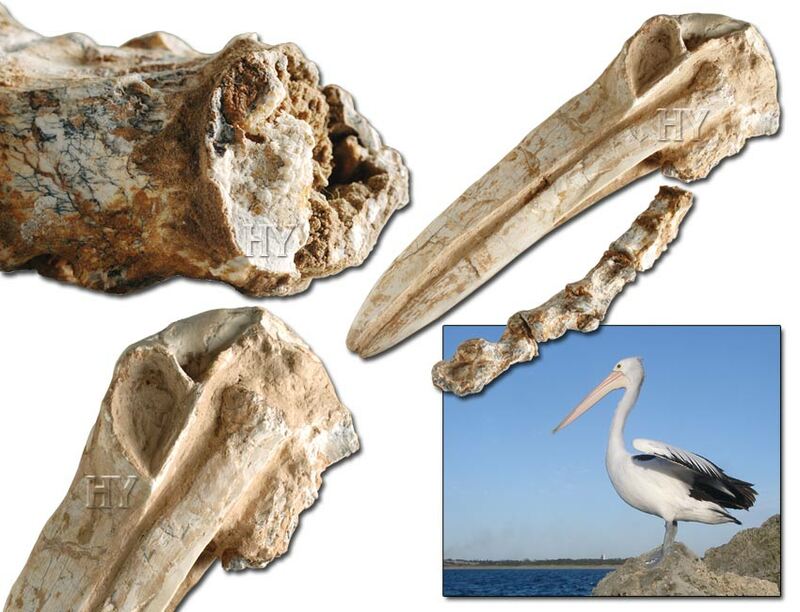 The pelican fossil in the picture shows that these birds have been exactly the same for 75 million years. The glorious structures that allow pelicans to fly inspired Boeing aircraft engineers, who thought of building a plane with giant wings, like those of the pelican. With the models He creates in nature, Allah wishes us to become acquainted with and reflect on His creative artistry. Seals have very large eye sockets and special nasal systems. To see that this animal had exactly the same appearance 68 million years ago as it has today, and has never changed over millions of years, is great evidence for the fact of creation. When the fossil is examined in detail, we see that it was living in the seas in exactly the same way 68 million years ago. This and countless other proofs document the fact that the theory of evolution is ultimately consigned to the dusty shelves of pseudo-history. 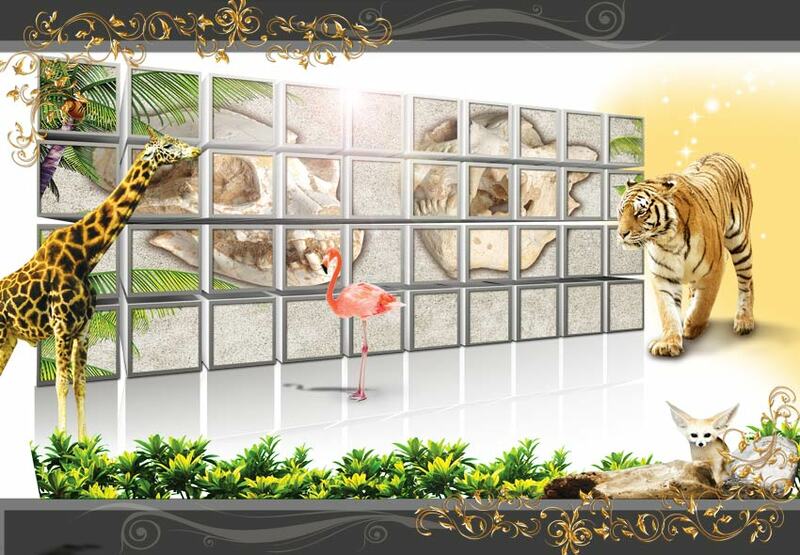 During the formation of fossils,hard tissues such as bones and teeth are preserved relatively easier than soft tissues. While the soft tissues disappear, bony structures gradually turn into inorganic ones. To put it another way, the minerals in the animal’s bone structure have the same structure as inorganic minerals in rocks. In this way, living things that existed tens of millions of years ago are preserved right down to the finest details. 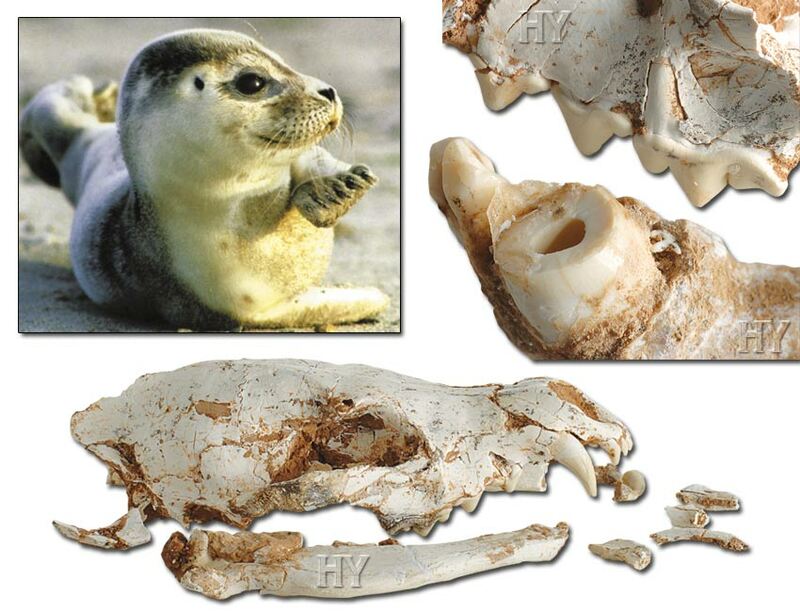 The pictures show the structural detail in 68-million-year-old seal teeth and the internal architecture of the bone structure. Living things on Earth tens of millions of years ago had the same perfect bone tissue and structures as those living today. 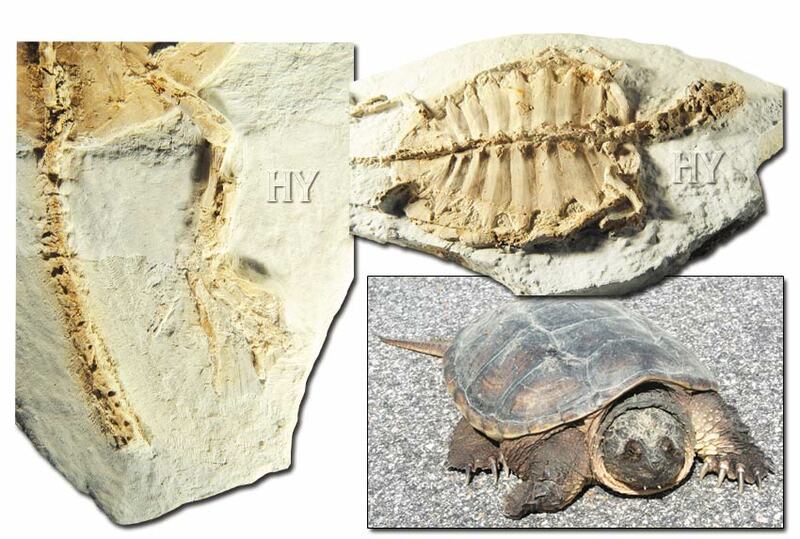 This fossil, which shows that pandas have always existed as pandas, refutes the idea that life forms evolve. Not one single fossil suggesting the supposed evolutionary forebearer of the panda, or proving that it went through various stages before assuming its present form, has ever been found. 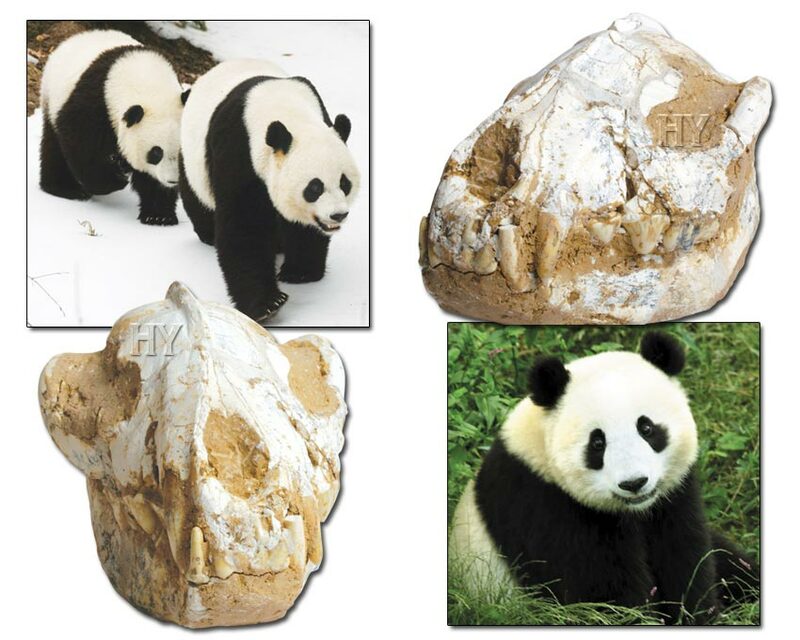 No matter what its age, every fossil unearthed possesses exactly the same features as pandas alive today. Darwinists have no explanation to offer in the face of this reality. Darwinists’ traps and ways of deceiving people are now meaningless. 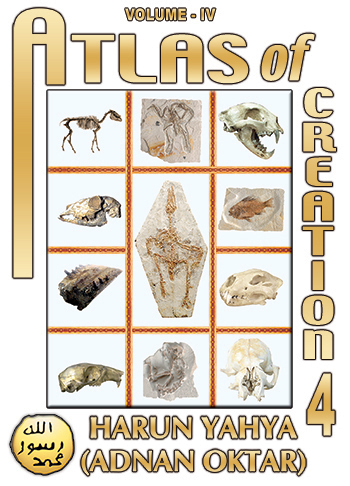 They have seen, through books such as the Atlas of Creation, which clearly demonstrate the fact of creation, and countless fossils showing that life forms have never evolved at all, that all beings are created from nothing. 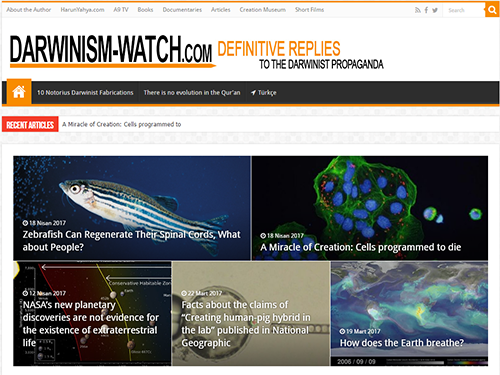 The Darwinist deception has been completely exposed and utterly neutralized. 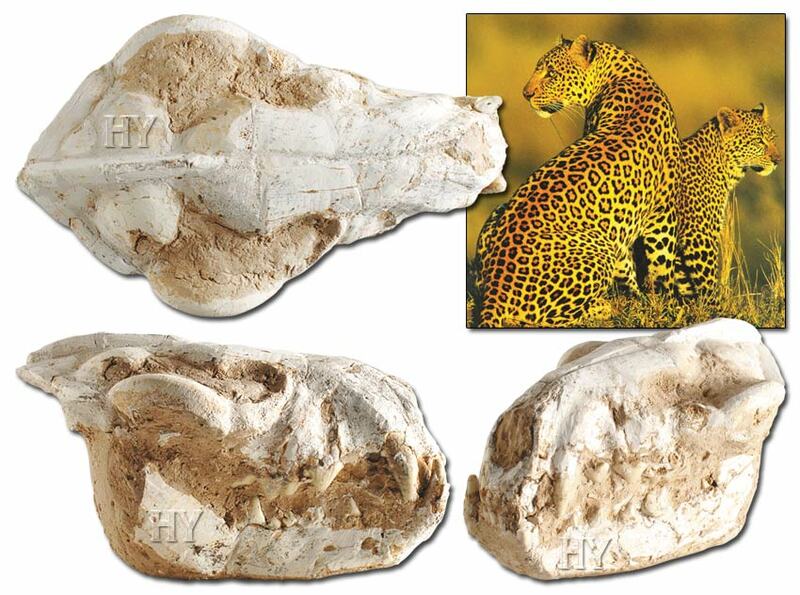 This 6.3-million-year-old leopard skull is sufficient evidence to show the invalidity of all myths about life forms changing. 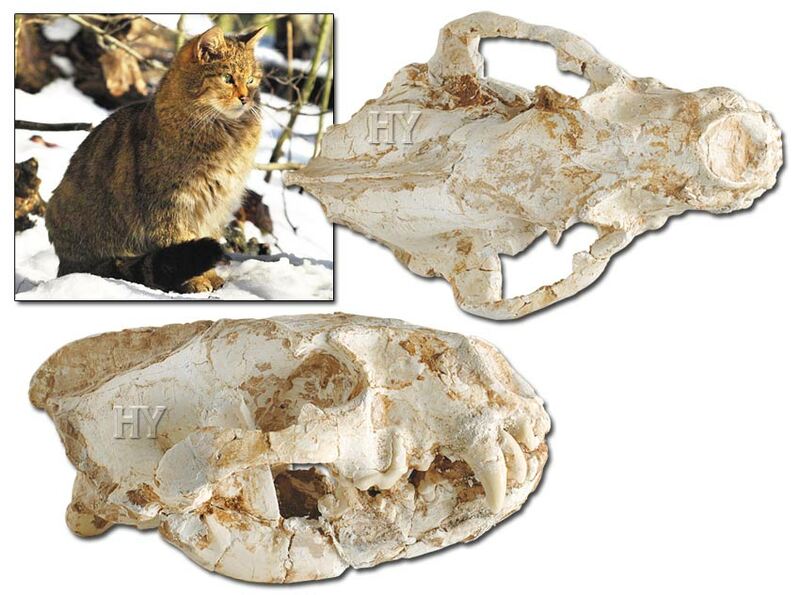 There is no difference between the teeth of wild cats that were living 80 million years ago and those in existence today. The false god of Darwinism is blind chance. Darwinists believe that blind coincidence can turn inanimate matter into living things and subsequently cause one life form to turn into another. This superstitious belief was depicted as reality for 150 years and taught very much like a religion. However, this superstitious belief has now fallen apart. The countless fossils unearthed prove that life forms were created from nothing and never evolved in any way. Nothing about the theory of evolution is in any way, shape or form, defensible. 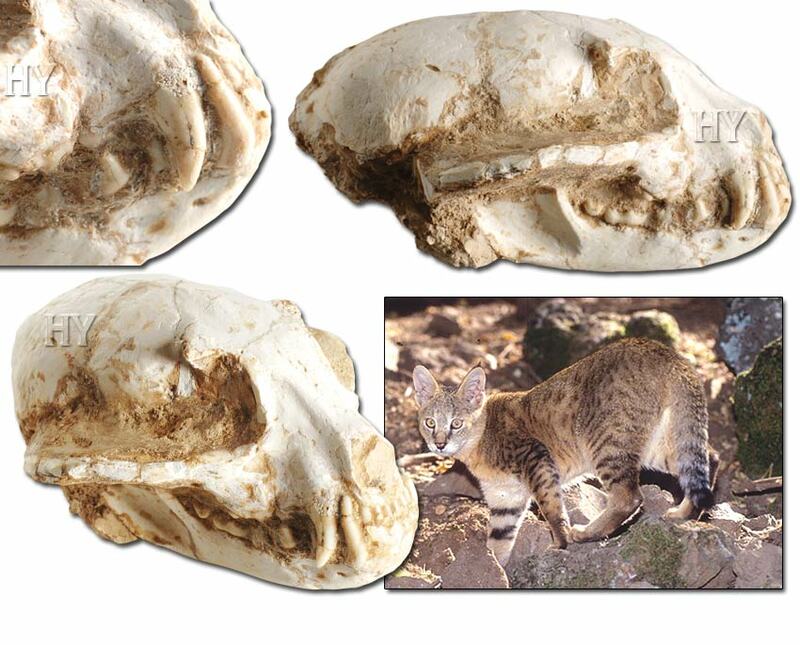 The wild cat skull in the fossil is just one of the countless proofs of Allah’s creation. This 80-million-year-old fossil declares that this life form has never changed over millions of years and that all Darwinist claims are therefore a lie. There is no scientific evidence that birds and other flying animals evolved from terrestrial life forms. On the contrary, the way they appear suddenly in the fossil record, with all their complex structures, shows that all these life forms were created with the necessary flight systems. Confuciusornis sanctus, a frequently encountered beaked bird that lived 125 million years ago, had no teeth, but its beak and feathers had the same features as those of birds living today. Its skeletal structure was also identical to that of present-day birds, and it had claws on its wings. The organ known as the "pygostyle" that supports birds’ tail feathers can also clearly be seen in this bird. These are all characteristics found in modern-day birds. 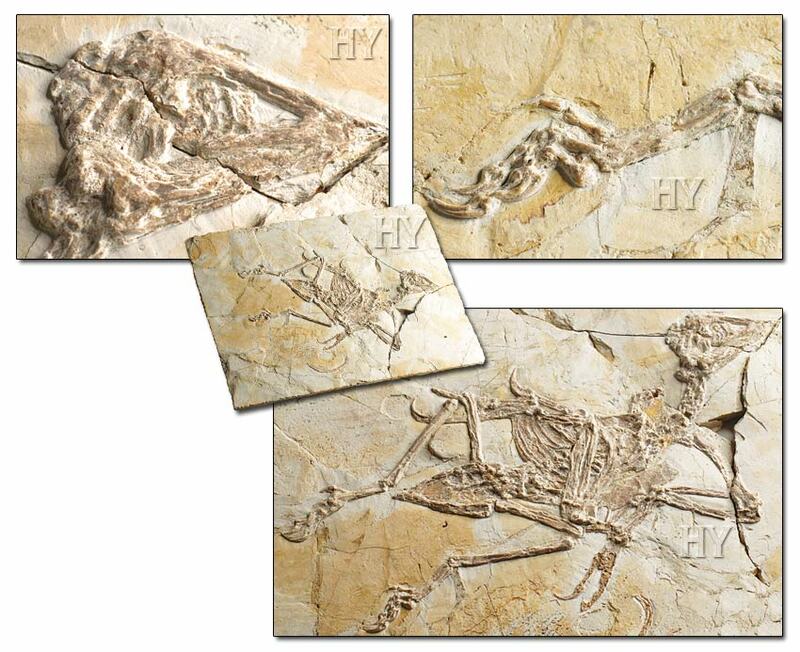 This and similar fossils do not show that different species of birds evolved from one another. On the contrary, they prove that present-day birds and various unique species resembling Archæopteryx all lived together. Some of these birds, such as Confuciusornis and Archæopteryx, have since become extinct, and only a certain number of bird species have survived to the present day. Evolutionists are still continuing to speculate about extinct birds. But all Darwinists’ efforts are in vain, because, as seen in detailed in the fossil record, Confuciusornis is no different to present-day birds. The myth of avian evolution is not a thesis that is compatible with the biological and paleontological evidence. 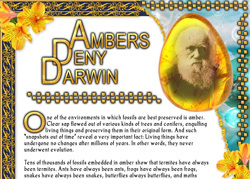 It is a totally fantastical and unrealistic claim stemming from Darwinist preconceptions. The idea of bird evolution, that some experts like to depict as a scientific fact, is in fact a myth kept alive for philosophical reasons. 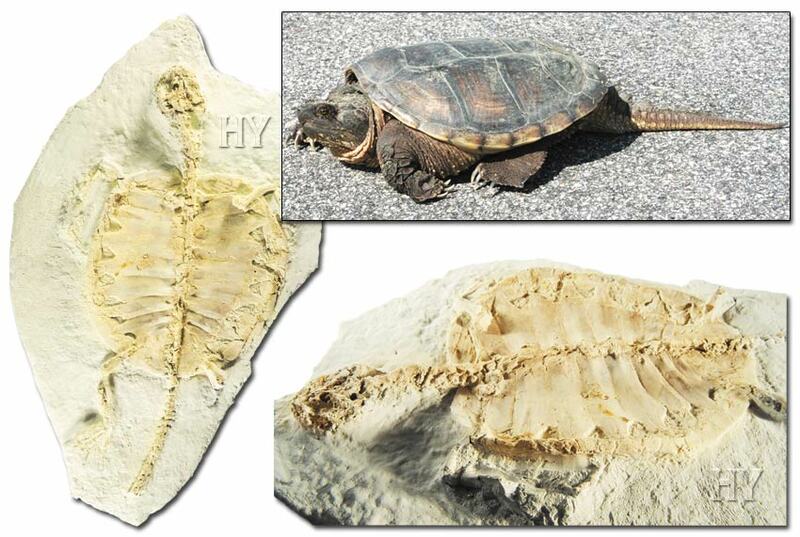 When we look at fossils, we can clearly see a concrete truth: evolution never happened. All life forms appear suddenly in the fossil record, with all their unique bodily structures and with no evolutionary ancestors preceding them. In other words, fossils clearly demonstrate that evolution never took place. 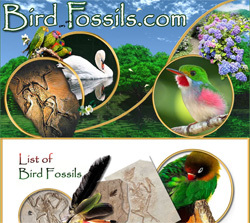 Birds in particular are especially rich sources of evidence since their fossils are generally very well preserved. The fact demonstrated by science is that the immaculate creation in birds is the product of an infinite intelligence, in other words, that they are created by Almighty Allah. But despite the absence of any evidence to support their unscientific tales, evolutionists doggedly persist in their claims, hoping that these fictitious fossils will one day be found. Their evidence for their impossible dreams goes no further than outright distortions and grossly biased interpretations of the facts, as you shall see in detail in the following chapters. (2, 3, 4) There exists not the slightest jot of evidence that such semi-formed living things ever existed. In order to be able to prove that birds evolved from dinosaurs, evolutionists would have had to have discovered the supposed transitional form fossils shown in the illustrations to the side. However, although many fossils of both birds and dinosaurs have been unearthed, the fossil record contains no trace of supposed dino-birds. 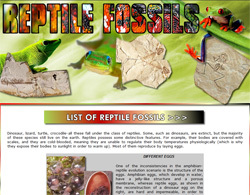 Defective life forms with missing organs, bearing half-bird and half-reptile characteristics, which should have existed in large numbers according to evolutionist claims, appear nowhere in any of the Earth’s strata. The life forms in the fossil record are all flawless and complete. None are semi-developed of the kind seen in these pictures. This fact is important evidence that evolution never happened. Archaeopteryx, which evolutionists for years attempted to portray as supposed evidence for birds being descended from reptiles, is but one example of how they have tried to mislead people. Archaeopteryx is a fossil bird dating back 150 million years. It has been claimed that this bird has a number of reptilian characteristics, and that it therefore represents a “missing link” between birds and reptiles. 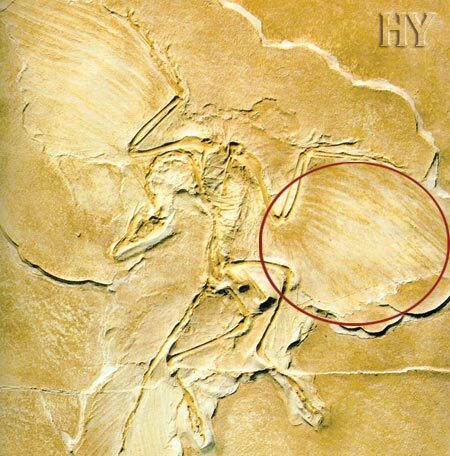 However, scientific findings showing that Archaeopteryx was a complete flying bird have since invalidated this claim. One of the most important pieces of evidence that Archæopteryx was a real flying bird is the structure of the animal’s feathers. Archæopteryx had a feather structure identical to that of modern-day birds, showing that it was possessed of perfect flight. There are more than 10,000 species of birds on Earth, each of which possesses its own unique features. Hawks have very sharp visual acuity, broad wings and pointed talons. Their eyesight is so keen that they can make out a baby rabbit on the ground from hundreds of meters up in the air. by way of hooks known as barbicels. 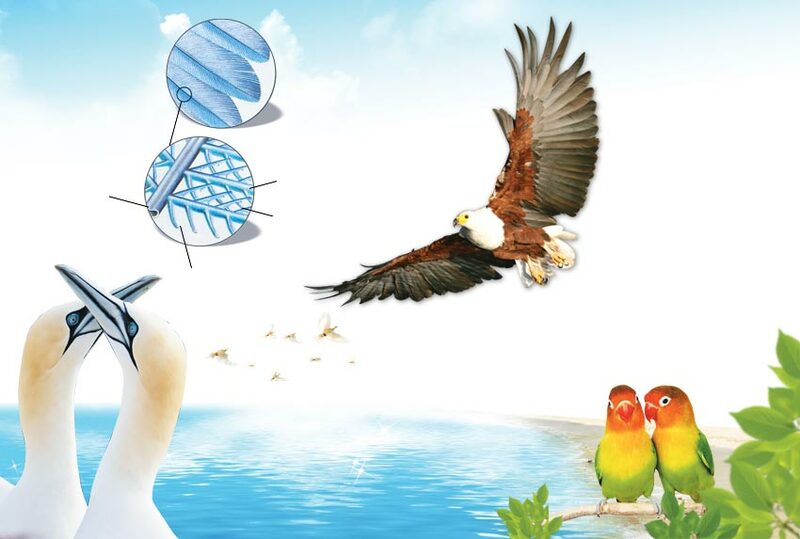 This complex design gives the bird powerful, flexible and waterproof wings. This special creation in the barbules that attach to one another, as if with a zipper, once again reveals the invalidity of the idea of chance. Whichever ornithologist you ask will tell you that a bird wing provides it with the most efficient way of flying. For example, even though a hawk achieves speeds of up to 300 kilometers per hour (186 MPH) as it dives down onto its prey, it never loses balance or misses its target, and it possesses perfect flight control. Some eagles can suddenly attack their prey at speeds of 185 kilometers per hour (115 MPH) and then spread their wings and come to a complete halt in just 6 meters (about 20 feet). A bird chasing its prey can fly in circles above it several kilometers high and watch it with its sharp eyes. As it dives downward, it focuses on the prey and fixes on it automatically. For such flight to be possible, the eyes and wings, and therefore the brain, muscle and skeletal systems all have to work in complete harmony together. But how is this immaculate coordination possible? All these extraordinary characteristics obviously cannot be the work of blind natural forces. 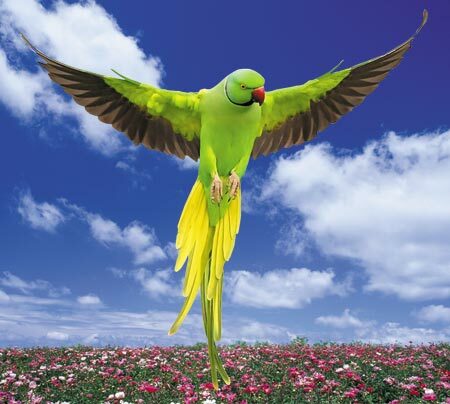 There is no doubt that birds fly with the superior features given to them by our Lord, the Creator of all. With their ability to imitate sounds including human speech, parrots are among the cleverest of all living things. Although the anatomy of their mouths is wholly different—they have no teeth or lips, for instance—they are nonetheless able to produce sounds very similar to those they hear. The owl, by means of the special creation in its soft but rounded feathers, hunts its prey at night in complete silence. Thus the owl’s wing, which prevents air turbulence—and thus, noise—has taken its place among the designs that scientists are seeking to replicate. It is impossible for birds to have gradually developed the features they possess, because they would never have survived during the intermediate stages of any such process. Indeed, no creature has ever grown to perfection in stages, as evolutionists would have us believe. On the contrary, all different living groups have existed in their current perfect states ever since they first appeared in the Earth's geological strata. The flawless features possessed by birds are examples of the knowledge and artistry of Allah, the Lord of the Earth and sky. The theory of evolution maintains that birds are descended from small, carnivorous therapod dinosaurs, in other words, from a species of reptile. The fact is, however, that both anatomical comparisons between birds and reptiles and also the fossil record completely refute this claim. 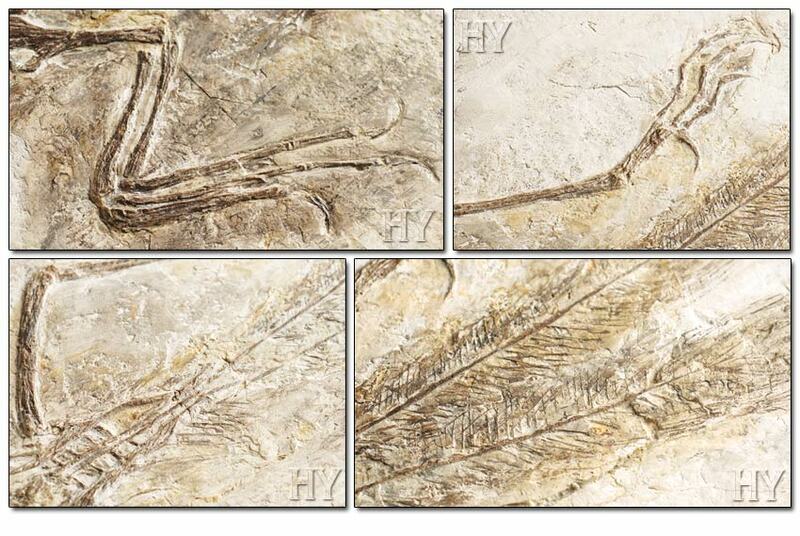 The fossil in the pictures belongs to an extinct species of bird known as Confuciusornis sanctus, first discovered in China in 1995. 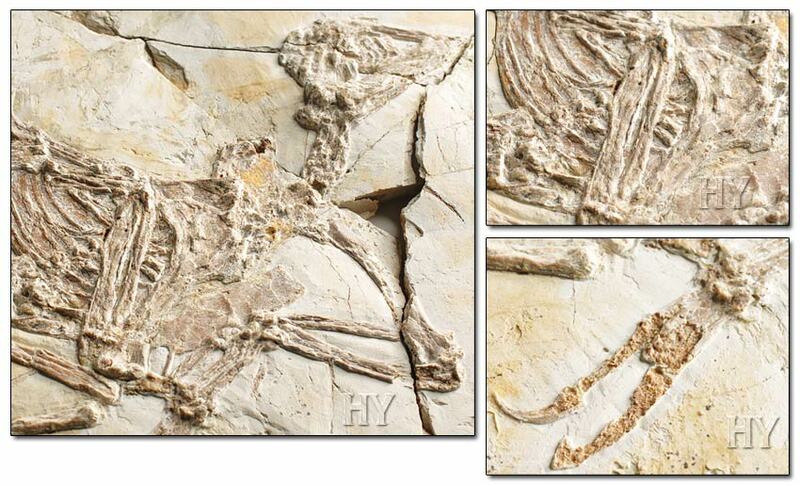 This 125-milion-year fossil Confuciusornis provides very important information about this life form. Confuciornis has no teeth, and its beak, feathers and skeletal structure have the same features as present-day birds. It also has the structure needed to support the tail feathers in flight. To summarize, Confuciornis, which lived at approximately the same time as Archæopteryx, bears a very close resemblance to birds living today. Confuciusornis definitively refutes the scenario of the evolution of birds. This fossil, which Darwinists heralded as “the oldest flying dinosaur,” in fact belongs to a commonly encountered species of beaked bird. All the characteristics of Confuciusornis, which have survived from 125 million years ago to the present, show that this life form never evolved, and that it was a flying bird ever since it first appeared. Fossils like Confuciusornis that have come down from millions of years in the past to the present day totally invalidate the scenarios of avian evolution. The way the evolutionists refuse to admit this fact is highly significant in terms of revealing how the theory of evolution is a claim defended out of willful and deliberate blindness. The fossil record shows that life forms appeared suddenly and with completely different structures, and that they then remained unchanged over the course of long geological ages. It is impossible for living things to have evolved, because there is no mechanism in nature to make them do so. As this fossil dating back some 125 million years shows, when we look at the fossil record, what we see is not a process of evolution but rather a picture that is the diametric opposite of evolution. All life forms appeared at once. Allah created them flawlessly, in the forms they still possess today. Like all their other physical features, red wolves’ jaw and tooth structures have never changed over tens of millions of years. The perfect detail in this 51-million-year-old red wolf skull in the picture accurately reflects the features of this life form. 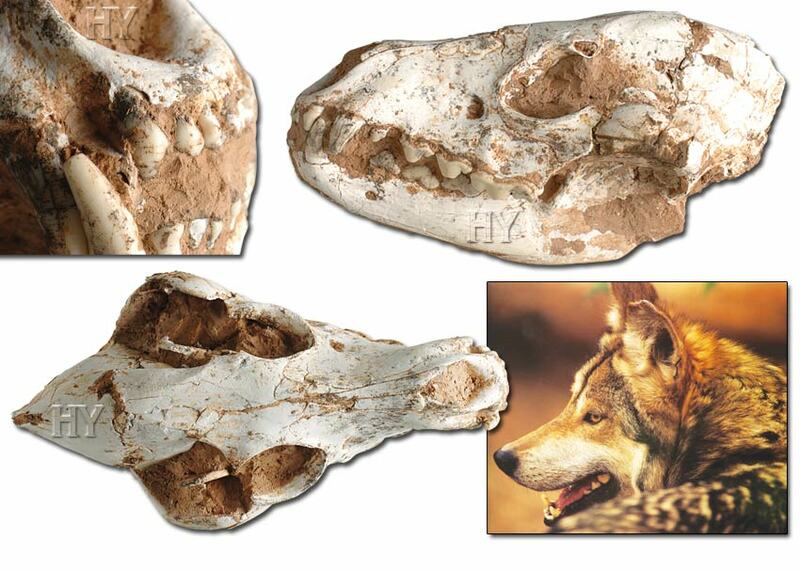 Had no such fossil emerged, Darwinists would have most definitely continued to fabricate countless scenarios about the supposed evolution of red wolves. They would be proposing countless false intermediate forms and telling countless fictions. But this fossil specimen puts an end to Darwinist myths. This also applies to all other life forms and also to man. 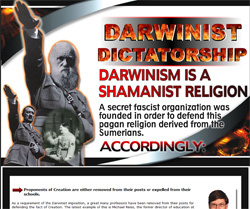 Every scenario produced by Darwinists is completely based on lies, and that is a fact now agreed on by everyone. This fossil’s teeth have been preserved in the finest detail for millions of years. Lions’ strong jaws and sharp teeth are some of their best-known characteristics. As can be seen in this 82-million-year-old lion skull, just like lions living today, those that existed millions of years in the past also had powerful teeth and jaws. According to Darwinist claims, this fossil, which dates back 82 million years, should be full of semi-developed organs. The fossil should have a great many pathologies in its eye sockets, its jaw and its ears. But this is not the case. 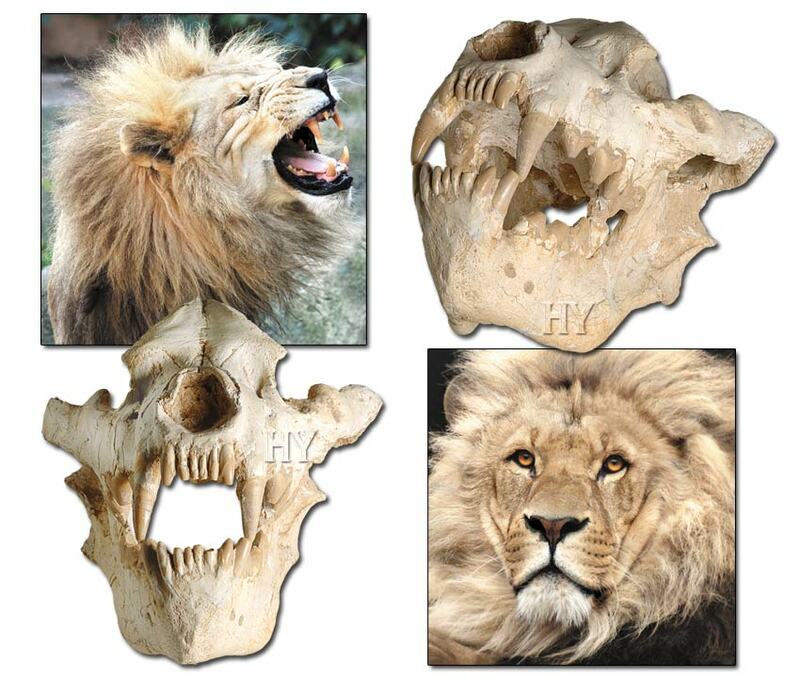 The lion skull in the picture dating back millions of years has been perfectly preserved, and its details show that this animal had a flawless appearance and that it was a lion just like those living today. One of the reasons for Darwinists’ claims about the fictitious evolution of man is that they have a rather large number of monkey fossils on which to speculate. Yet the findings from the fossil record point to undeniable scientific facts, not speculation. 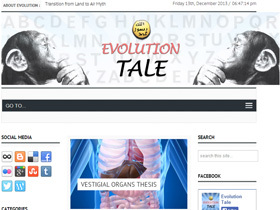 These facts are that evolution never happened and life did not go through transitional stages. Science itself refutes the theory of evolution. 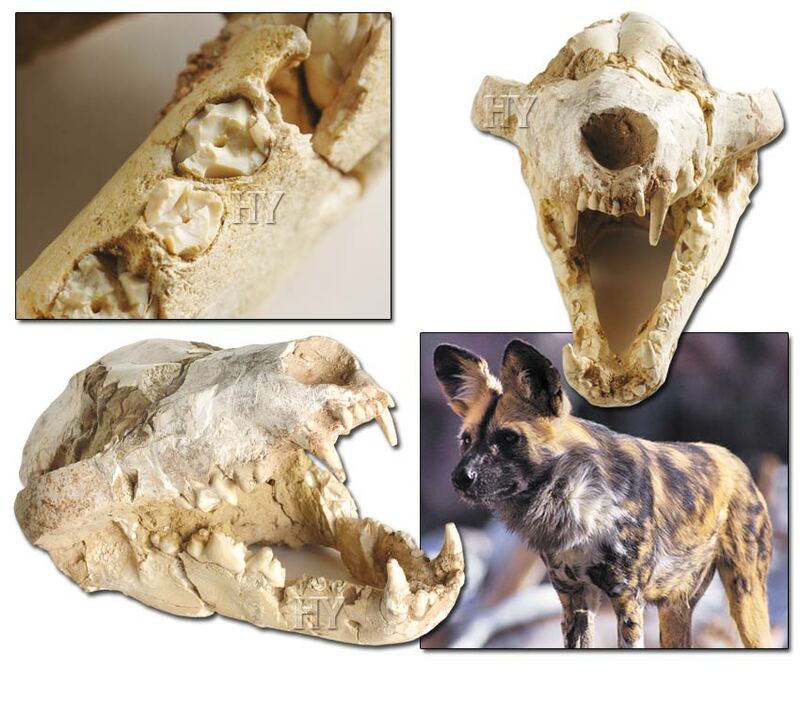 Just like an 82-million-year-old lion skull, a 51-million-year-old red wolf skull, a 78-million-year-old roe deer skull, a 90-million- year-old fossil hyena and many others besides, the 74-million-year-old brown bear skull in the picture is perfectly detailed and has a flawless appearance and structure. According to Darwinism, these fossils dating back millions of years should be half formed, perhaps with jaws and eye sockets in different places. Their noses should not yet have developed, and there should be serious flaws in the skulls housing their brains. But these skulls are perfectly formed, and their anatomical features are identical to those of living things today. 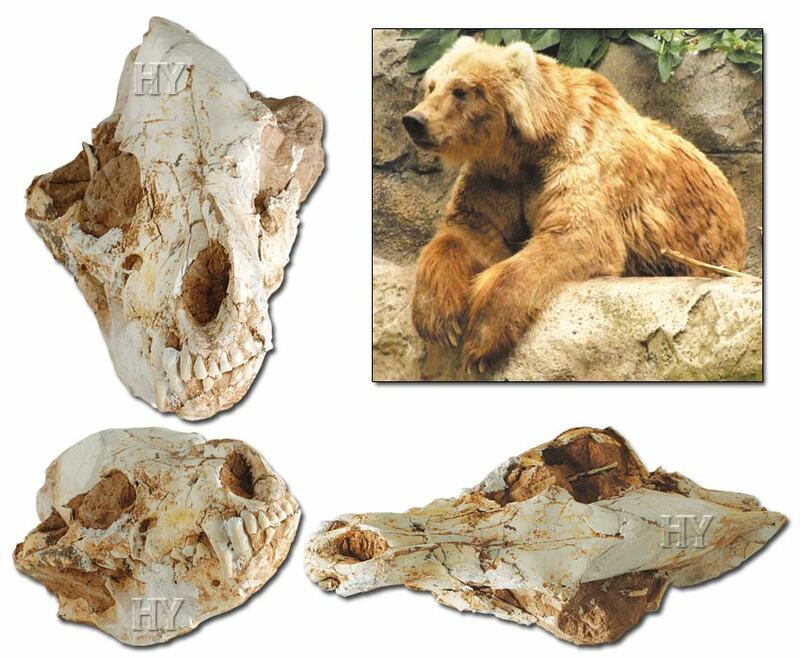 In fact, just one single proof, this 74-million-year-old brown bear skull, for instance, is enough to refute evolution. The fossil record dating back millions of years totally refutes evolutionist claims, which harbor the most extraordinary inconsistencies and have no supporting evidence. Some 150 years after Darwin, the question facing evolutionists is ironically still the same: why has not a single transitional form been found when so many millions of fossil specimens have been unearthed? For those who do not think along Darwinist preconceptions, the answer is obvious: because “transitional forms” never existed. Life forms did not come into being by turning into one another. Almighty Allah created all live forms with all their own unique features. 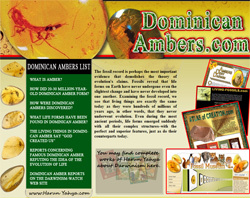 Fossils dating back millions of years reveal a most important truth; living things did not evolve. The fossils that Darwinists hoped would confirm their theories have totally given the lie to the theory of evolution and revealed that life originates from creation. - There is not a single transitional form to show that any life form, including the Arctic fox, assumed its present form by developing in stages, in other words, by evolution. - Arctic foxes which were living tens of millions of years ago possessed complete and flawless structures, in the same way as members of the species do today. They had no supposed primitive appearance or structures. 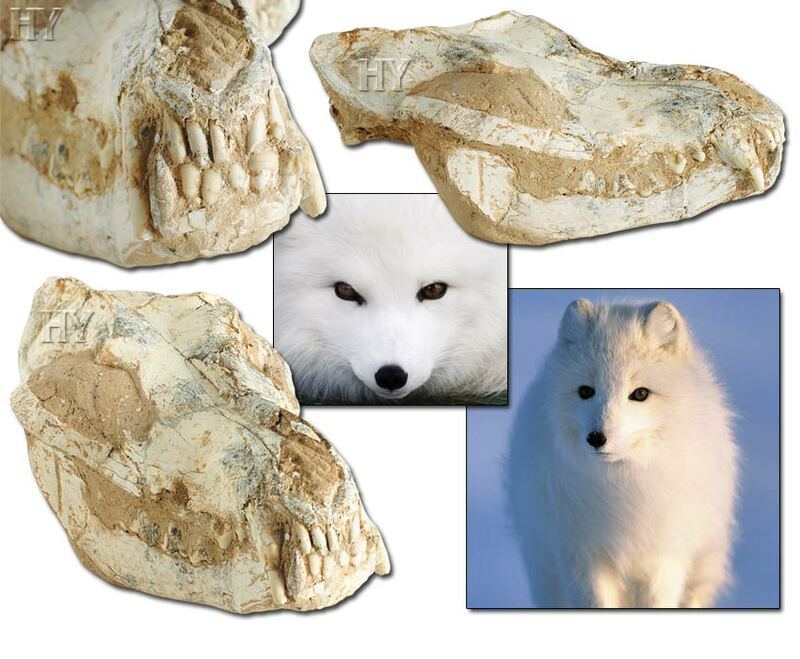 - There is not the slightest difference between Arctic foxes living today and those that lived 59 million years ago. This shows that the living things in question have never changed over tens of millions of years. 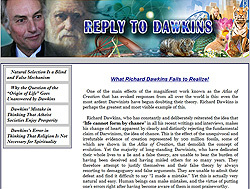 All this information places Darwinists in an insoluble predicament and shows that living things have their origins in creation. The skull below clearly shows that this life form has not changed in the slightest over the last 63 million years, and is just one of the millions of proofs that refute evolution. No such process as evolution ever happened. 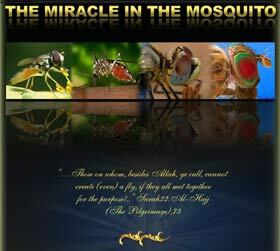 Allah created all living things in a single moment, just as they are now. Fossils skulls are proof that no life form ever changed during the course of history or turned into any other life form, and that every life form came into being with all the characteristics it possessed. 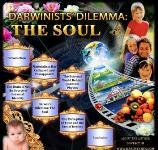 These proofs emphasize the poverty and illogicality of Darwinist thinking. The theory of evolution, which maintains that man is descended from monkeys, needs to explain why no other life form underwent a process resembling that supposedly experienced by monkeys as they turned into humans. It has no response to give to the questions of why a jungle cat did not one day decide to start walking on two legs, why a fox did not develop intelligence and turn into a college professor or why a panda did not become an artist producing breathtaking works. As we have seen in just a few examples, Darwinism, which is heralded as a scientific theory, is in fact an unbelievably illogical ideology. 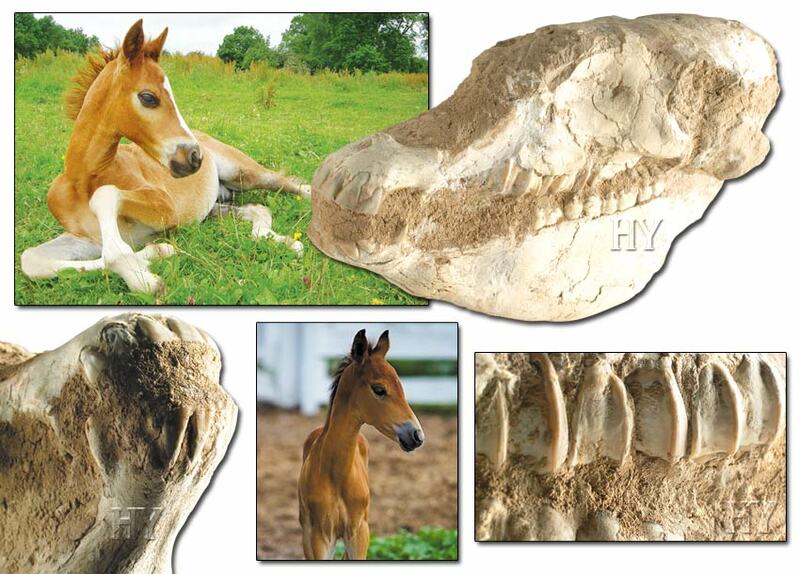 The 3.2-million-year-old foal skull shown in the picture confirms these words by the evolutionary paleontologist Niles Eldredge. This life form, that has remained unchanged for millions of years, confirms a fact that Darwinists have actually known ever since Darwin’s day, and shows that evolution never happened. A 29-million-year-old bear skull is scientific proof that evolution never happened, and this fact represents an important answer to all Darwinist claims about the origin of life. 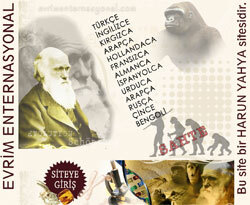 Human beings have always been human beings and monkeys have always remained as monkeys at all times in natural history. Not a single transitional form exists to point to any passage between the two. This also applies to all other life forms, just as in the grizzly bear skull in the picture. This life form has looked exactly the same ever since it was first created, and it did not evolve from any other life form. This 29-million-year-old fossil is one significant proof of this.